Indoor cats are becoming increasingly common for a number of reasons. Some people fear for their cat’s safety with busy roads; others are perhaps concerned for the welfare of the local wildlife which cats are particularly adept at catching and killing! Consequently it is safe to say that the modern cat gets less exercise than the average cat 20 years ago did. A lack of exercise combined with a calorie surplus will cause your cat to put on excess weight which can cause joint damage and put unnecessary stress on your cat’s organs. 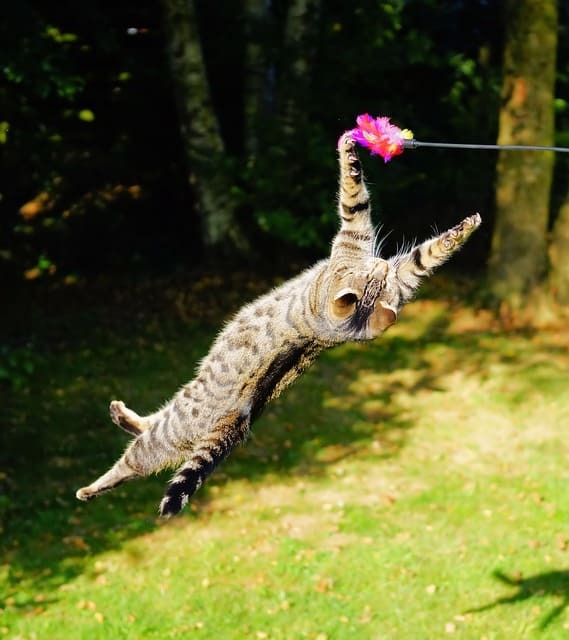 Thankfully there are plenty of things you can do to improve your cat’s activity levels. It sounds obvious but many cat owners neglect to play regularly with their cat particularly when they have become used to them. Aim to spend ten to fifteen minutes of active playtime with your cat. 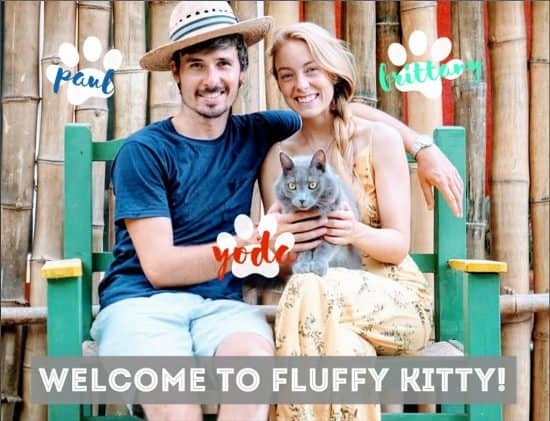 It doesn’t need to be anything complicated, allowing your cat to chase a piece of string or using a cat wand with a feather on it to stimulate your cat is sufficient and will help to keep your cat both mentally and physically active. Battery operated toys are great to have in addition to one on one play time as your cat can activate them anytime they wish to play regardless of whether or not you are there with them. Motion activated toys are particularly good as these move freely and simulate the experience of hunting, these can be bought at very low cost and will bring hours and hours of entertainment to your cat. A relatively new innovation in the cat world is the cat exercise wheel. 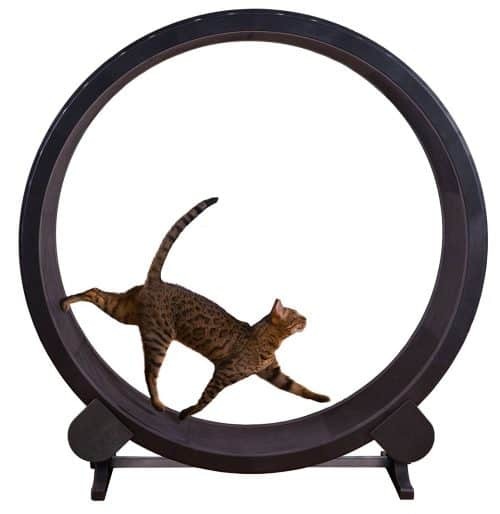 These are like giant hamster wheels designed specifically for your cat, they operate in much the same way as a hamster wheel your cat simply jumps on and runs! The difficulty with an exercise wheel is training your cat to use it, some cats take very quickly to them but most cats will require a good amount of training before they will happily use them unsupervised. Training requires the use of a treat or possibly a laser point to encourage your cat to climb up the wheel and get it moving. Encourage this behaviour be rewarding your cat with the treat or a bit of fuss. This will have to be repeated regular for 10-15 minutes a day for a week or two (depending on how quick a learner your cat it) before they will happily use it unsupervised. While cat wheels are not cheap and they will require you to invest a good chunk of time into training your cat if you can spare the time and money they are a highly effective way of providing your cat with a great way of burning off excess energy within the confines of your home. Read more about different exercise wheels on Tuxedo-cat.co.uk. 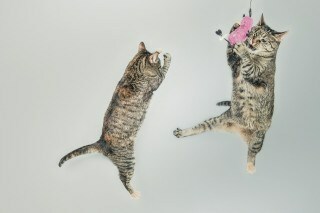 If you haven’t seen how cats respond to catnip then you need to invest in some now! Catnip elicits a very powerful response which will cause your cat to roll, leap and jump all over your lounge burning a huge number of calories. Giving them a bit of catnip to play with every few days is a great way of adding a bit of variety and activity into your cat’s life. An easy way to do this is to put a spoonful of catnip into an old sock, tie it up and then let your cat do the rest! A simple but very easy way of getting your cat to be a bit more active is to leave bits of their food hidden around the house before your go out to work, this way they will spend lots of time and energy seeking it out, particularly if you do this regularly and vary the places you hide the food in. 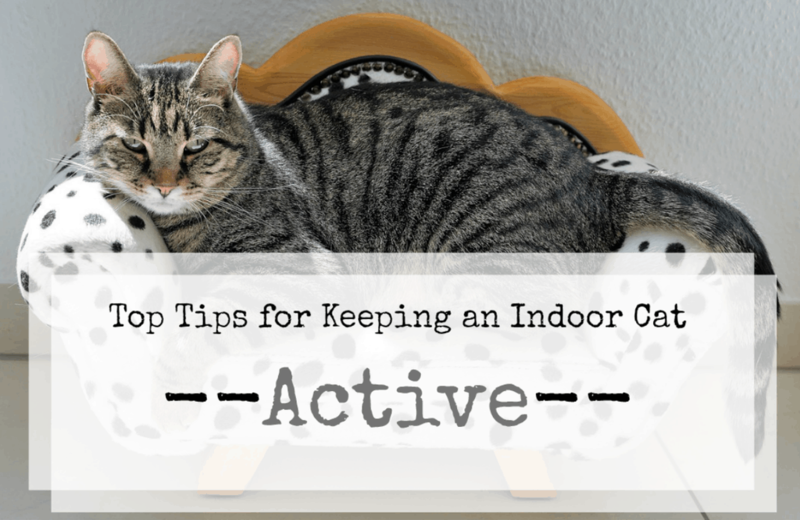 We hope these tips help your indoor cat to live a healthier and more active life, please let us know if you have any other brilliant tips in the comments below! This guest post is by Dan & his cat Whisky over at Tuxedo Cat. Nice! My kitten is very lazy and sleeping all day. I think this article is useful for her. Thanks! My cat loves hunting for food around our house! Our sweet Yoda does too! He even found “live” food a few weeks back, eek!